My time here in Uganda has come to an end. I can not put into words how much the children, teachers and the director family at the Ssenyange school has given to me. All the love, joy, fighting spirit and the exhange of knowledge we have had. As each day passes, it becomes more clear that I have definately chosen the right path for myself. To focus on social enterprise, to be a part of this essential movement of integrating social and sustainable change into the business model. Here, I can to the fullest use my drive, my energy and my strong will to make a difference in the long run. 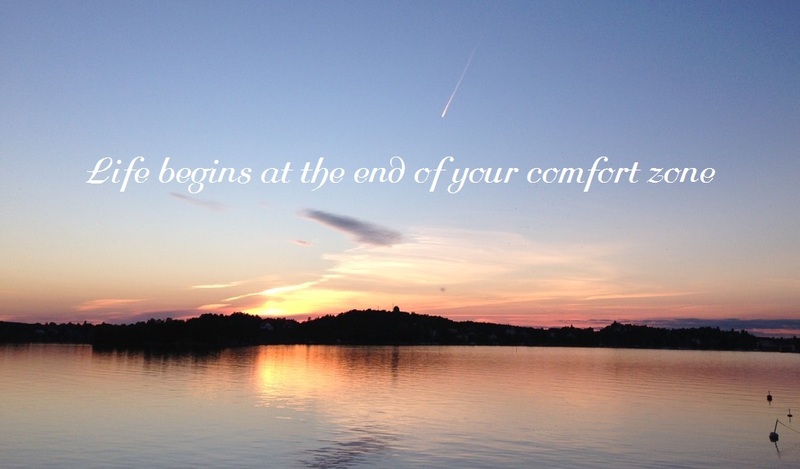 To take the big leap and start my own social enterprise, Northmans, is the absolute best decision I have ever taken. In spite of that I am only in the beginning of the startup I have already met many inspiring people, made new fruitful connections and learned a lot more about myself in just three months than I have within the last years. Northmans will intertwine e-commerce/retail and social sustainable change by offering home and lifestyle products where every purchase results in a contribution given to one of our development partners focusing on charities and nonprofit projects in developing countries. It will be within Northmans’s DNA that everything we do we do with compassion and for a worthy cause. There should be no doubt about our vision and together with our customers we will be a part of building a better tomorrow. I am of the strong belief that a business must use it’s power to be socially responsible and give back. In order for human development projects to be sustainable and work in the long-term we must invest. A steady flow of money is required and the devoted people in the field must be allowed to focus on what they do best instead of worrying about the next payment. One big part of that steady flow of money is available from businesses. Even a small company that gives just some percent of it’s profit can contribute and make a greater social impact than one may think and also gain a lot of it in return in other areas, a win-win situation. It is not only about the money. Communication is vital and must reach out to the internal and external stakeholders so that it becomes an important and natural matter for all. We are all part of the same world and we must reconcile and help each other out to find ways to make things better. I have high ambitions for what I wish and want to accomplish with Northmans and I also have a vision in an even bigger perspective. Some might say that it is big talk for someone who has never run her own business before and who has just reached the startup stage. But in order to succeed I must live in the belief that it is possible and that I have the ability to achieve my vision. How can I otherwise find the motivation if I start off by doubting myself or the cause? I am aware of that it is going to be tough. I might not know how tough but that is probably for the best. I am also aware of that I will have to sacrifice many things that for some people are hard to understand. But that is ok. We are all different and we make our own choices of paths and for me this is the right path for me to walk. During my time here in Uganda I have had several insights on a personal, business and spiritual level. In opposite to what some may say would be good, my work defines me. Because for me, it includes all the different levels mentioned above. I have had many discussions with friends not understanding how I can put so much energy and time into ”just” a job. But my work is my hobbie, it is my biggest interest. It always has been. When I improve and reach new knowledge or meet new people within my work, I also improve on a personal level and vice versa. Of course, it has been times when it has been way too much and not always fun but in the long run it has been so rewarding and my own choice to push myself even more. I have met people thanks to my work that later has become close friends and mentors and who has given me important pieces to my self development puzzle. During my years I have never really felt satisfied or in harmony. Always felt that something has been missing, that I have been standing still and waiting for something else, something bigger. Many times the thought ”is this all?” has struck me and it has frightened me and making me go up the wall. If I had really listen to my inner voice I would have heard it telling me that I was just on the wrong path and that I needed to change course. But I played it safely, I went for the things that ”I am suppose to want and do”. Writing this I am in Kampala. I made a small change in my travel plan since I one late night two weeks ago started to source local suppliers in Uganda for future references. Not expecting to find anyone so fast, I indeed found a very interesting community project for women and children in need, Project Have Hope. After making some research and having a very good communication with the Director I yesterday visited the community project in Acholi Quarters situated on one of Kampala’s many hills. And it seems that I have found my first supplier in a developing country with focus on sustainable social change a lot sooner than I had anticipated! Two devoted, warmhearted and beautiful minds. Both determined to invest in the children of need. Both with small means but yet the strong belief that it is possible and that you at least have to start somewhere. One of the spirits based just outside Masaka town on the countryside of Uganda had decided to dedicate his life to help orphaned children in need. 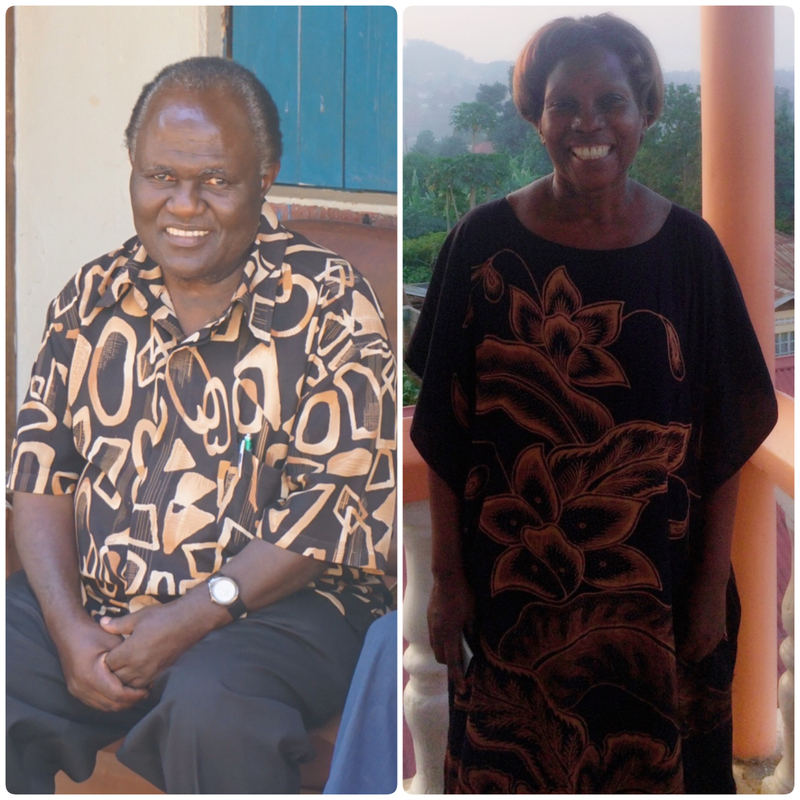 Being an orphan himself that was helped by friendly people who paid for his school fee he become a teacher, worked hard in Kampala and met his wife, teacher Mrs. Gertrude Zaweede. For the money he earned he bought a land in 1970 but due to the dictator Idi Amin he could not start building until 1991. In 2003 he was housing 15 orphaned girls in his small livingroom, his family in the other room and a few orphaned boys sleeping in one of the three classrooms. With no help from other organizations or from the Ugandan government he was struggling with money while teaching and taking care of the children who had nowhere else to go. A lot of difficult times, worrying and doubting of the school’s further existence but with a great ambition and determination Mr. Mutesasira and Mrs. Gertrude kept on fighting for the children. 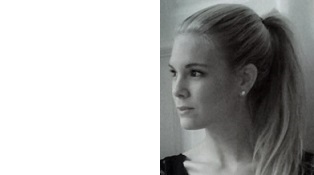 The other spirit, Matilda, from the small town Våxtorp in south of Sweden, was working as a volunteer for six month in Uganda and her former colleagues had collected 2 990 SEK for her to give to a project of choice. Searching and screening carefully after a serious and right-minded project the two spirits’s paths cross and an impressive, beautiful story of building a strong bridge between Uganda and Sweden began. Thanks to these money they were able to house six more children, i.e. 25 children in total. They were also able to invest in mosquito nets to prevent malaria, mattresses, sheets, blankets, toothbrushes, toothpaste, soap, wash tubs and school supplies. Coming back home to Sweden, Matilda, seeing the great potential in Mr. Mutesasira and the school, was determined to help out even more and they kept contact. As she spread awareness about Ssenyange in her environment many people wanted to help out and every month money could now be sent to Ssenyange. The genuine caring is one of the things that makes this school unique. Since many of the children have experienced things no one should ever be experiencing they are truly in the need of love and care. With a non-violence policy at the school it is strictly forbidden to use any kind of abuse towards the children. Due to the violence against women and children being quite common in Uganda members of the staff have also experienced an abusive childhood and learned that this is the way of handling children. Hence, critical situations have occurred at the school as well. When this has been revealed the management have taken action and the person has been fired. 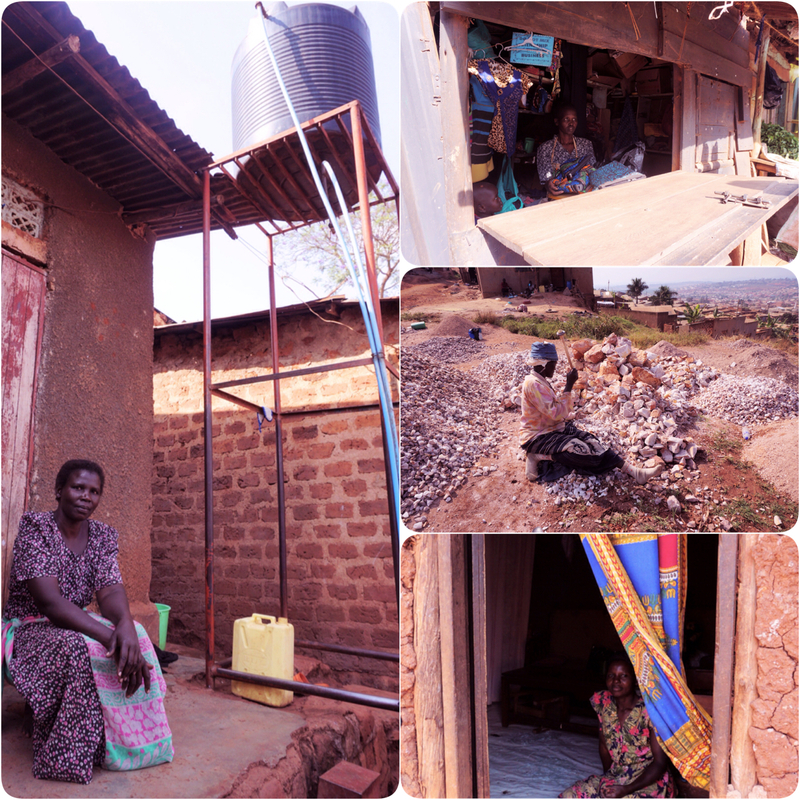 One of Mr. Mutesasira’s dreams was to be able to afford a new dormitory for the girls and thanks to Matilda’s drive and performing of talks in several associations they could start to build the dormitory only one year later in 2004. Like branches on a tree, the Swedish private sponsors and Swedish companies contributions has spread widely and the school has expanded a great deal. 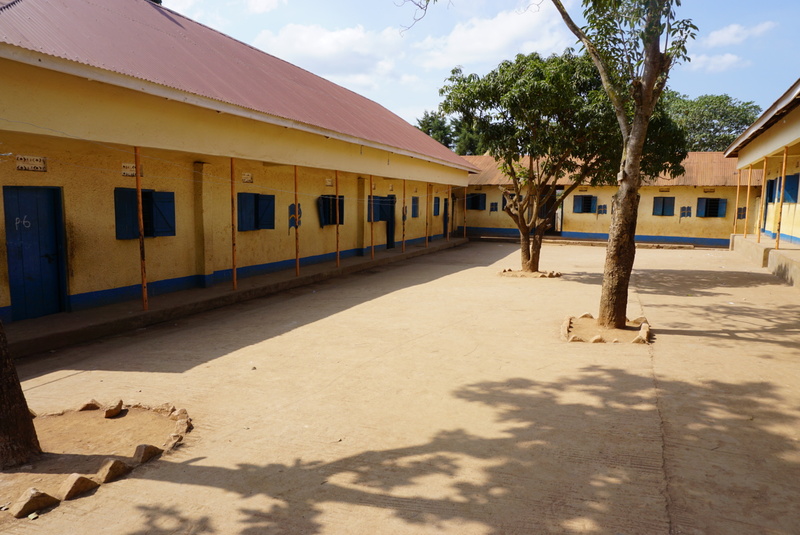 New buildings have been built like two more dormitories for boys, kitchen building, assembly hall, two toilet buildings, nurse clinic, staff housing, library, sewing hall, smaller woodwork shed and rooms for volunteers at the top floor of the boys’s dormitory. Several teachers, head mister and head mistress, matrons, kitchen staff, a nurse and a secretary has been employed and in total they are around 30 employees at the school. The number of students has gone from 25 in 2003 to over 600 today whereof around 450 are boarding students. Another unique thing is that they do not let go of the children when they graduate from Primary 7 as they do in other schools. 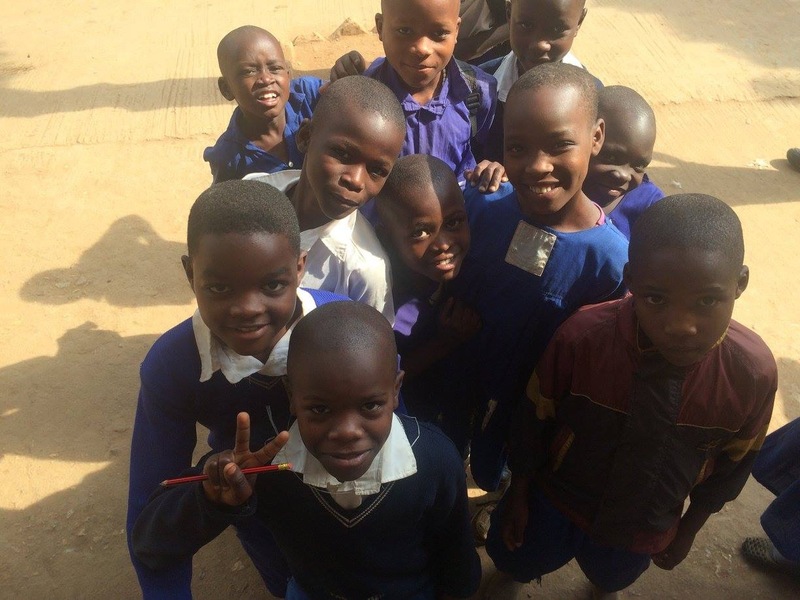 The children are then between 12-15 years old and early on Mr. Mutesasira and Matilda decided to find a solution so they could be able to continue their education at secondary level. Otherwise, they would not have been able to pay the school fee which would have ended up they staying home with relatives in best case or, in worst case, they would have ended up on the streets. In addition to caring and education the project focus on health whereas one basic and essential matter is having safe and clean drinking water. This is not always accessible in schools or orphanages but if it is one thing the Ssenyange school prioritises it is the water. 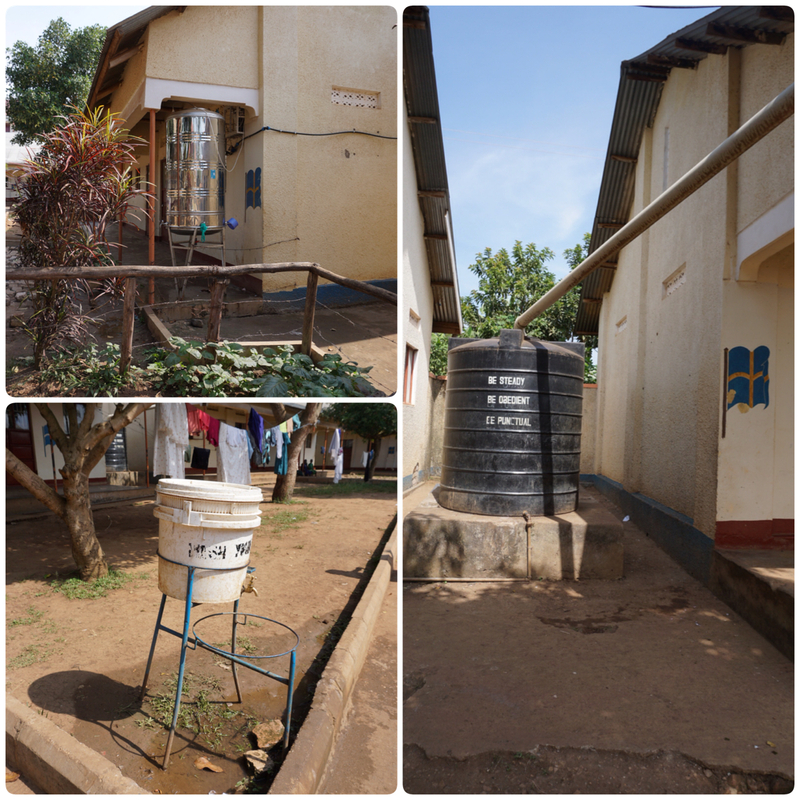 They have invested in sustainable solutions such as a distilled water tank for drinking water, several water storage tanks that collects rain water for washing and taps in the compound. Water stations has been placed around in the school area where the water is mixed with soap for the students to wash their hands before eating and after visiting the toilets. These kind of hygiene factors are not common at all in Uganda. When visiting the students at secondary schools you get struck by their great ambition and humbleness. 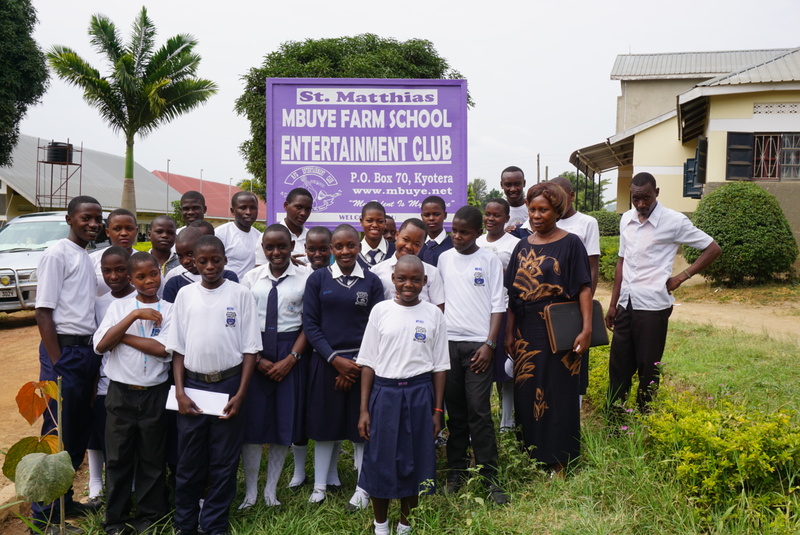 All of them express their gratefulness for the Ssenyange Education project and the caring received from Mr. Mutesasira, Gertrude, Matilda and all their sponsors. Being well aware of the chance they have been given to have a brighter future they truly seize it and work hard to get a better life. This school project and Mr. Mutesasira has become very well-known due to the successful structure, the results of graduating students and not least the impact it has on the society by taking care of children in need no matter what religion or disability they have. Supporting and encouraging, and turning them into well educated young adults that can provide for themselves and even create new employment opportunities while starting their own businesses. Beyond this the project also creates many employment opportunities itself. In 2012 the king of Buganda, Ronald Muwenda Mutebi II, had noticed the school and was eager to visit in order to see the project with his own eyes and while being there he officially opened the new dormitory for boys. All over the school you see the strong connection to Sweden. The Swedish flag being raised along with the Ugandan and Bugandan flag, Swedish flags painted on the buildings, buildings being named after Matilda, her family, volunteers etc. 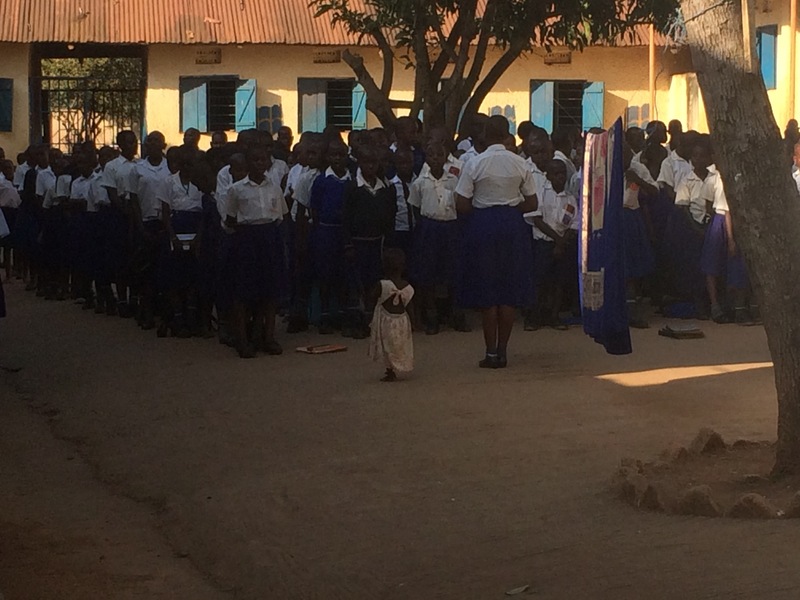 ALmost every school in Uganda has a morning assembly where songs are sung but this school is probably the only school in Uganda that sings the Swedish national anthem and a song written by Mr. Mutesasira dedicated to Sweden. I doubt that there is even a school in Sweden that sings the Swedish national anthem every day. And all this, thanks to the beautiful bridge of spirits between Sweden and Uganda. The children’s lives at Ssenyange Education Centre is quite different from a Swedish child’s life. Some children start as early as when being 3-4 years old in Nurse class where they mainly learn how to socialize, then they level up to Top class before starting the ”real” school in P1 (Primary 1). Some children do not start until they are much older due to illness, death of parentes or having to work at home or at the family farm. That means that the ages of students in the same class can differ 4-5 years. All children must have school uniforms. White shirt and blue skirt or blue dress for girls, white shirt and blue trousers for boys, socks and shoes. 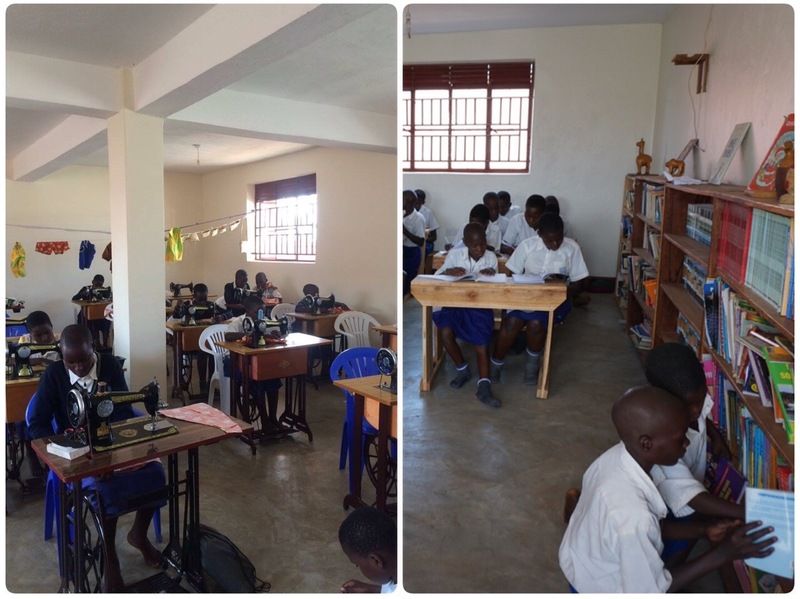 The fabric is ordered from Kampala (capital city) and are sewn by the school’s needlework teacher. The students clean dormitry and the school area by sweeping and mopping. Each week one class is responsible for keeping the school area nice and clean and washing the plastic food boxes after every meal. Since red dust and garbage blows in from surroundings it is always needed to clean. Wash and prepare for school. The day schoolers arrive in the school pick up truck. All kids line up class by class for announcements from teachers and to sing the Ugandan national anthem, the Swedish national anthem, the Bugandan national anthem (subnational kingdom within the middle and south parts of Uganda), The national school anthem and a song written by the founder and director dedicated to Sweden. Flags of Uganda, Buganda and Sweden are being raised. 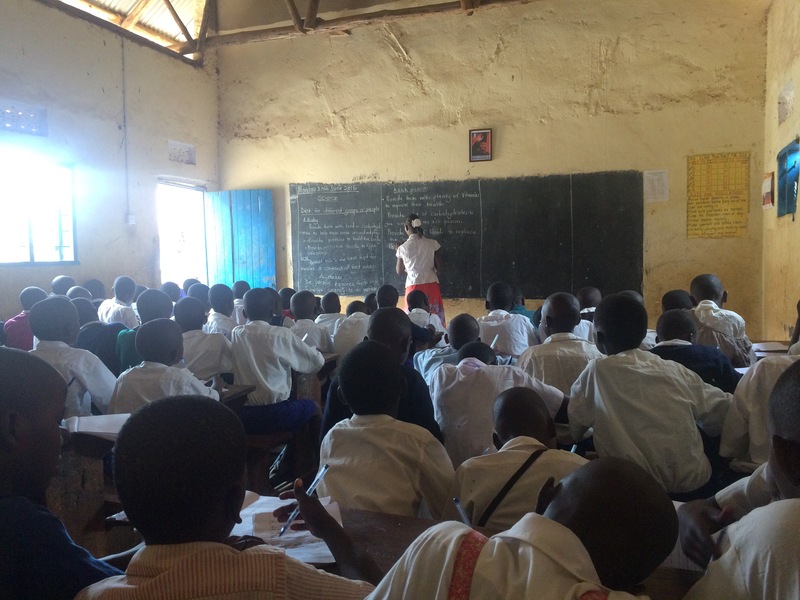 One lesson due one hour and they study subjects like math, science, social studies, English, religion, reading and writing and Luganda. They also have music and sports depending on the term. All kids line up to enjoy a popular bowl of milk mixed with tea. Before lining up for lunch they sing some of the morning assembly songs. For lunch they get posho (cornmeal staple in Uganda) or porridge made of maize flour and cassava flour, red beans for protein and/or mukene (a small silver fish) that is being mixed with the porridge which boosts the immunity. 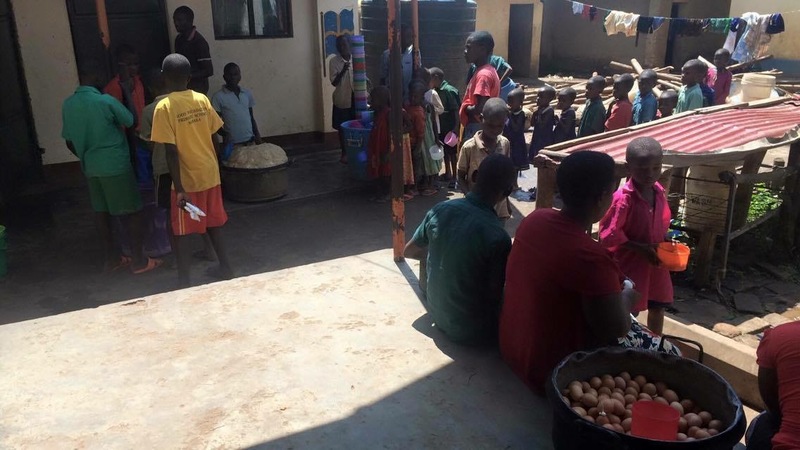 On Sundays the boarding students get one egg each. Students clean the school area, classrooms and latrines before the last assembly of the day where the flags are taken down. Afterwards it is time for prayers. The majority of the students are Christians and some are muslims. 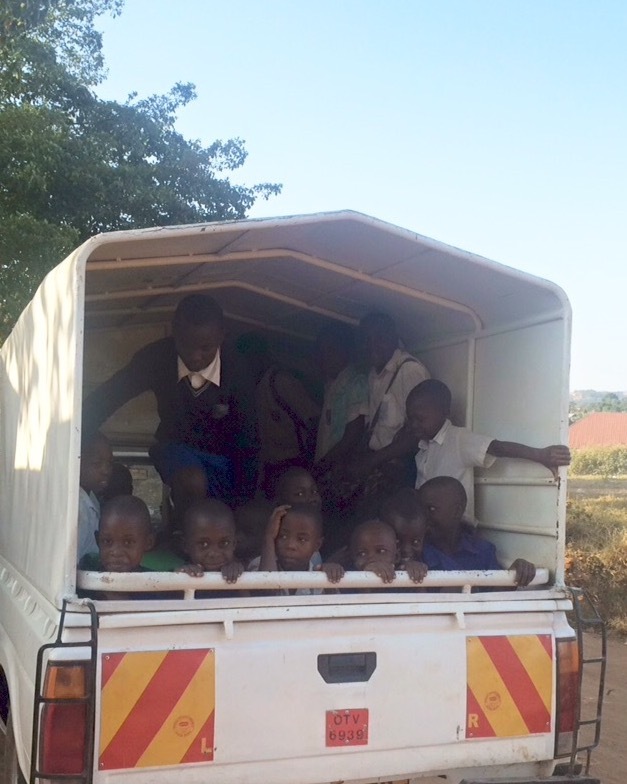 Day schoolers are driven home by the school truck after prayers. The students line up class by class for porridge and beans. The upper classes, P4-P7, has revision. The day schoolers do their revisions at home. Bedtime for lower classes. Small gathering for upper classes with the head mistress. One class can have 70-90 students. The benches are made of plain wood supposed for two per bench but they can sit up to five students a bench. The black chalkboards are made of cement covered with special black paint. If the money is too short to afford the paint they crush charcoal and blend it with maize flour. The students repeat after teacher or read loudly from the board. When standing outside the classrooms you hear all the classes repeating after their teacher loud and clear, almost like choirs. When someone answer correctly the class chears, clap or sing a chant to the person in favor. The students are eager to answer questions and it shows that they want to learn and what importance it has for their future. To lighten up a lesson and get som energy back in the class the teacher can all of a sudden make the class burst out in song and dance. ”Huvud, axlar, knä och tå” is one of the songs! Due to costs only the teachers have textbooks. This means that the teacher has to write and draw everything on the chalkboard for the students to write and draw in their exercise books. The learning material such as posters etc. are also written and drawed by the teachers in order to show and teach. Imagine how fast they are in mental calculations compared to us. Despite the lack of learning tools the teachers are really creative and use what they have in the best way possible. It does not matter if it is a poster of the whole body, the heart’s anatomi or parts of a flower, the teachers easily draw them by hand. Some students have trouble affording pencils and exercise books but the school tries to help out as much as possible. During the breaks there are a lot of energy, playing football with empty plastic bottles or a small stone, singing and laughing. Skipping ropes and bubbles that volounteers bring are very appreciated by the younger ones. The day schoolers have more work and responsabilities when they come home. Collect water which can be far away, collect fire woods or buy charcoal for cooking, clean and wash dishes and clothes, look after younger siblings, look after animals etc. And not to forget, revision homework. Some do not have electricity so the homework is read by the light of a candle. One 13 year old student has to take care of his very sick mother by providing her with food and water and make sure that she is doing ok when he is not around during the day. She has no one else but him and the health care here is not at all what we have in Sweden. So, the Swedish children are used to a very much different life than the children are here. I definately was. I hope that this gives a somewhat better insight of how a school day in Ssenyange school looks like. 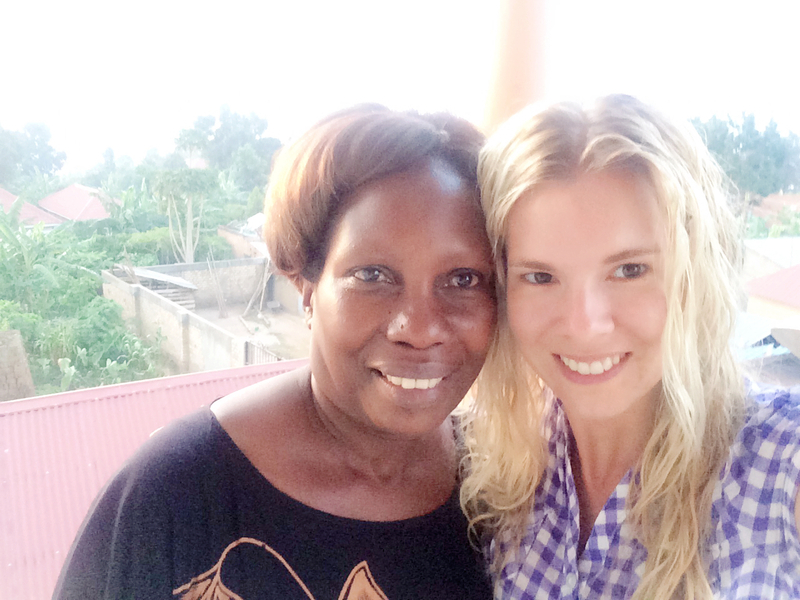 Last Wednesday Lina and Lovisa, also from Sweden, came to Ssenyange to stay for a week. They are so nice and warm people and I am so happy that I got a chance to know them. For me it has also, in many cases, been more needed to have someone experiencing the same situation as I am than I actually thought it would. To be able to discuss and share thoughts and concerns at the very instant you are experiencing it has really meant a great deal and helped me in order to sort out some thoughts right away. I will truly miss them now since they left yesterday. This is why it will be even more important for me to write down everything each evening so that I can go back and reflect when I need to. Sundays is the days of free time and play and what better way to spend last Sunday but having a beauty salon for everyone who wants colorful nails and top it with disco? All children who wanted could choose between red and pink nail polish and we sat almost two hours in the blazing sun and dusty air surrounded by happy and curious kids stretching their hands out for color. Afterwards, nearly 150 kids had been painted and it was time for disco! In the big hall benches were moved towards the wall in order to make room for the dance floor. Finally it was time to start the disco and 200+ students filled the room with the most amazing dance moves! Lina, Lovisa and I had decided to learn the kids the Macarena dance and what a success! Up we went on the stage showing them the moves and they are really fast in picking up new things. What an inexhaustible energy these kids have, incredible! Between classes, football, netball and playing we talk a lot. They are curious of how we have it in Sweden. From what kind of fruits we have to the members of the royal family and all in between and we learn from each other. The local language luganda is a beautiful, but difficult, language but I have learnt a few words such as sula bulungi (good night) webale (thank you), olyotya (how are you) and some more. I have been blessed with a student that I am the sponsor of and she is really beautiful, lively, ambitious and has that spark. And she is an amazing dancer! She goes in P6, living in the school and will hopefully graduate next year. I am so happy and grateful that I have gotten the chance to meet with her and to be able to follow her journey onwards. I have shared deeper talks with some of the older students and they are very perceptive, thoughtful and work very hard. I am convinced of that it will go well for them in the future and all this is thanks to the school. I have also found my African mother here in Ssenyange. Beautiful, strong, wise and warm hearted Mrs. Zaweede Gertrude. She and the principal Mr. Mutesasira together with their whole family have really opened up their home to me and everyday I get to eat the most delicious mangos, avocados, jack fruits (new to me) and not to forget the amazing peanut sauce. Since I am nearly addicted to popcorn you can imagine my happiness when I got popcorn to breakfast this morning! I can not repeat it enough, I have never experienced so much gladness and happiness of what life has to bring that shines through them even though some of them has experienced terrible things. It really makes you reflect and makes you grateful, we have it so good in Sweden. Things we take for granted in our everyday life such as free school, clean tap water, food on the table, clean streets, good healthcare and care for the elderly. But I am going to be honest, it is not always easy to keep spirits up. Such a different reality from what I am used of and new impressions everyday can sometimes make it feel tough and feelings are flying everywhere and nowhere. But when you are with the students and the teachers all of that go away and you get carried away by laughter and joy. They truly amaze me. We have so much to learn when it comes to mind set and appreciating what we have. Where to begin..? I finally arrived at Ssenyange Education Centre in Uganda three days ago and I have already gained so many new impressions and experiences and I have had so many different emotions I don’t even know how to begin. I have been thrown into an entirely different reality with people living with dire conditions and everyday challenges. Yet, I have never met a more welcoming, happy and helpful people as the Ugandans. 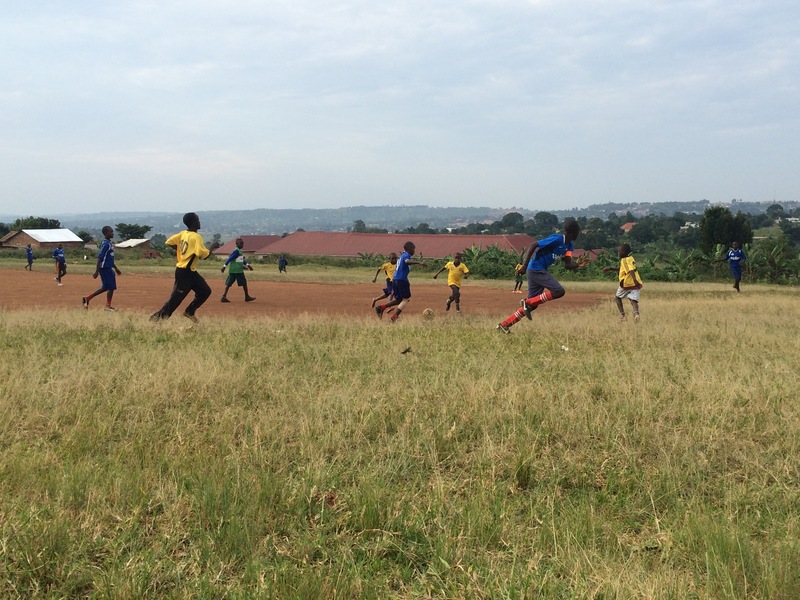 Ssenyange Education Centre truly is a sanctuary for orphaned children without a future. 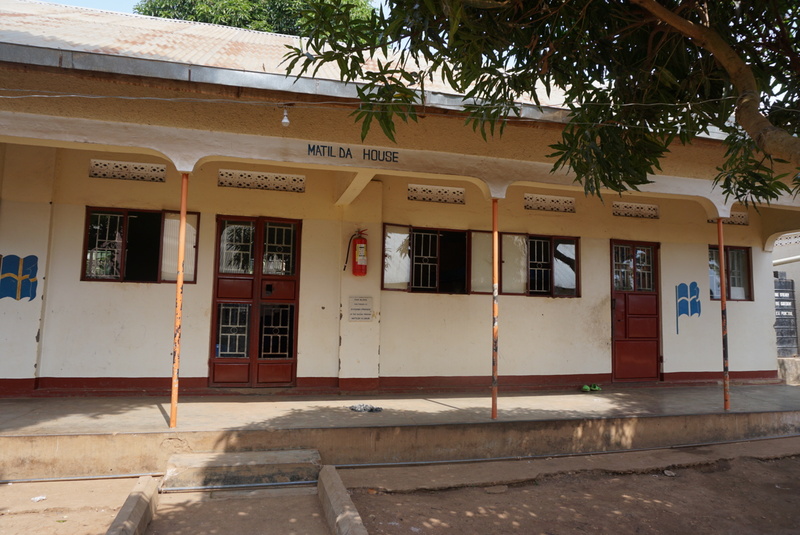 The school, founded by the dedicated Mr. Mutesasira and his wife Mrs. Zaweede Getrude in 1991, is a private primary school, i.e. from nurse class (3-4 years old) up to P7. 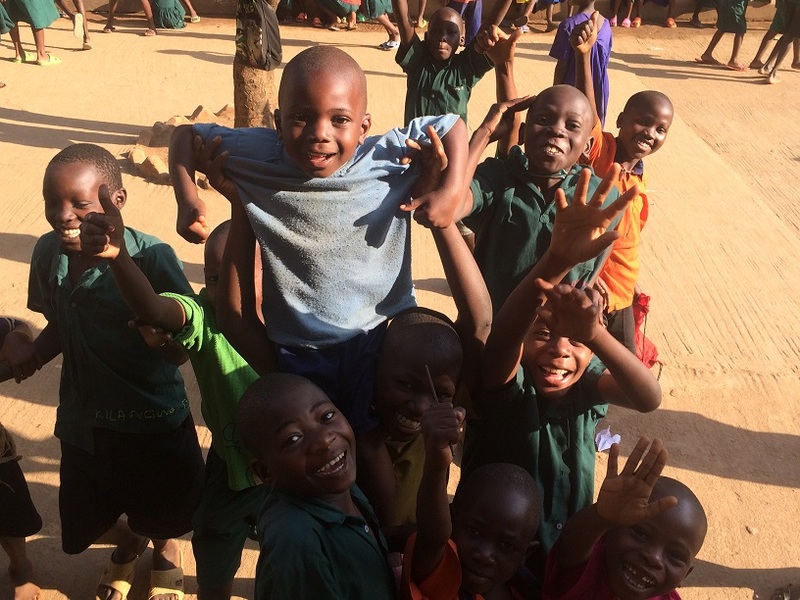 This school is like no other school in Uganda. It is the only school that forbids chastisement of the children. It is also the only private primary school that does not charge any school fee and in addition to this also enables the student to level up to a secondary school by seeking sponsors to the child since they need to pay for secondary school. A prerequisite for further studies and eventually a job or start of an own business. 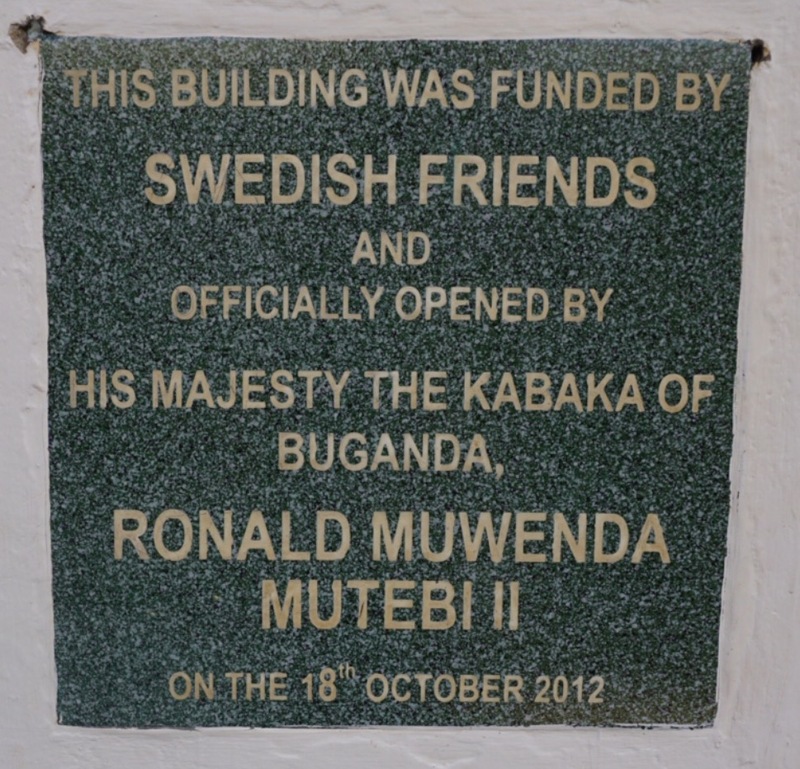 The school has a special bond to Sweden and is entirely funded via Swedish donations and Swedish sponsors. 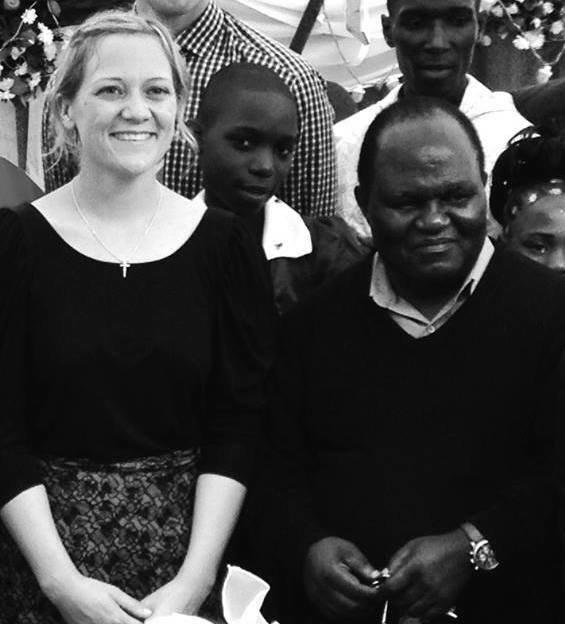 All thanks to the enthusiast Matilda Nilsson who met the founder and principle of the school Mr. Mutesasira in 2003. I will let you know more about the remarkable and wonderful story of the school later on. The feelings that follows one another in such a furious pace are out of this world. From exhilaration to helplessness, joyfulness to sadness and so on. And I have never felt so much love and gratefulness as these children and teachers are giving. Approximately 350 students live at the school which is their only home and almost 300 students live in the area. All of them are so joyful, curious and full of unstoppable energy. Two of the teachers, who also lives at the school, took me to a market in a village nearby. It was really an overwhelming experience. You get struck by the poverty walking on the roads by red soil half covered with garbage, passing rundown houses or huts made of scrap and seeing children, from 1 year and up with dirty and/or torn clothes, playing with things they find among the garbage. The smell of waste turning into ashes, cooked meat on the street and red soil is somewhat heavy. On the other hand, you are surrounded by a beautiful, colorful nature with big avocado trees and leafy banana plants, blessed with breathtaking sunsets and amazing night sky. But, what strikes me the most, is that despite these in many cases poor conditions, the people are all so joyful and happy! Waving and calling at you with the biggest smiles that melt your heart. Coming back to the school after the visit in the village made me realize even more what a special and unusual place Ssenyange school really is. Though, the standard for the children might be below our level of acceptance in Sweden it is a million times better than the alternative that would be and it is gradually improving with time. Here, the children receive love, care and the chance of a brighter future. I feel so fortunate that I get to be a part of this and I know that I have yet much more to learn and experience during the weeks to come. 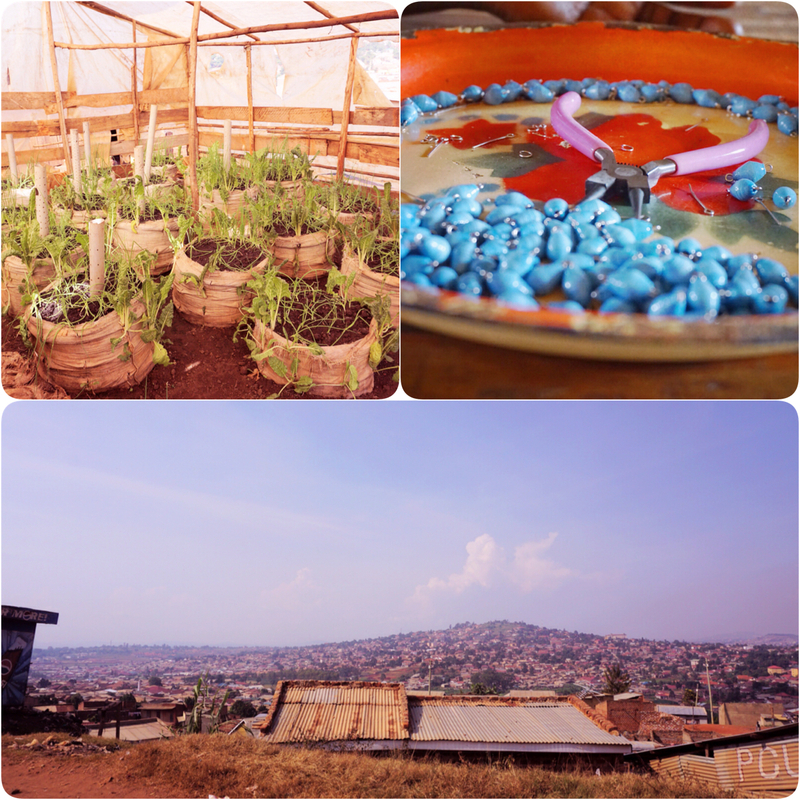 The universe might want me to see the contrast between different places before reaching Uganda. My flight from Arlanda to Doha was delayed due to technical problems and I missed my connection flight with just 20 minutes. Therefore, I am stranded here in Doha at Mövenpick Hotel with a dedicated personal guide for 24 hours and since I have never been here it is an unexpected bonus! The week has been a real race against time with Northmans’s deadlines and meetings, catching up with friends and not to forget, packing. It has clearly showed that I am a big time optimist… This resulted in me not giving myself the time to reflect about the journey I am about to take. Not until yesterday. In the morning I finished my packing and when I literally lay on the suitcase like I was a skydiver in order for it to close I took the opportunity to give myself a pause for thought. Laying there I let myself really feel my feelings about soon being by myself in a whole new environment. Many different feelings come up. Fear of the unknown, anxiety, nervousness and so on. But biggest of them all was excitement and curiosity. I will meet and get to know a new culture, meet new people and hear their stories, see a new continent and first and foremost I will get one step closer to understand the challenges and possibilities that is in order for making progress in developing projects. 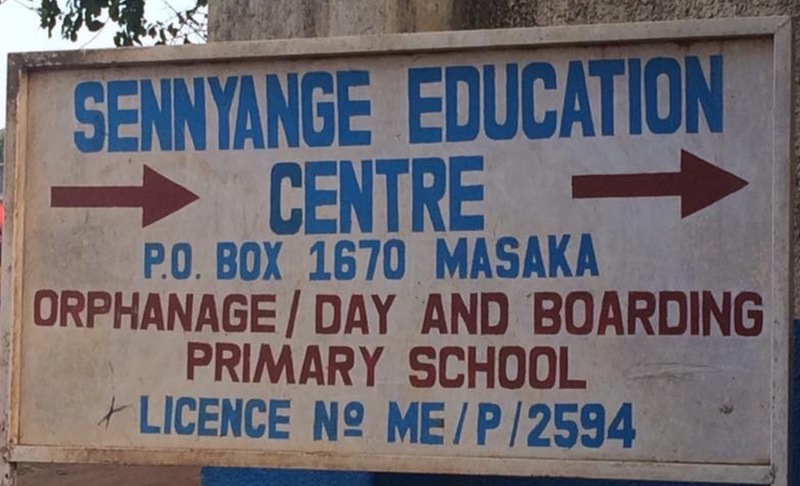 My staying at Ssenyange Education Centre will be my start of that knowledge. I am sitting at the hotel, soon about to get out in the 42 degrees warm city and I, terrified of flying, am relieved that one of the two flights was smoothly proceeded (apart from the delay that is). I am trying not to think about the remaining flight tomorrow because no flights, no Uganda! It might sound silly but when you are afraid of something you are not always logical and when you overcome that fear it can sometimes feel like you just climbed Mount Everest. So now I only have half the mountain to climb before I reach Ssenyange Education Centre. And that’s when the real journey begins. 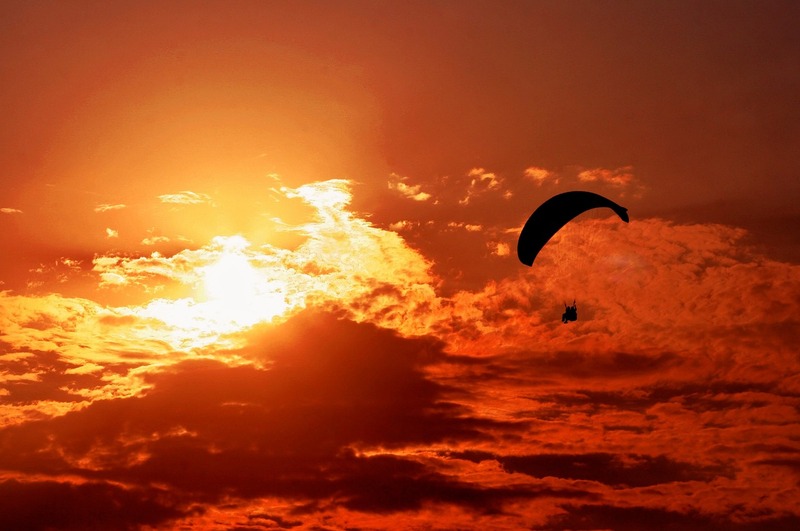 We all have our own specific journey through life that gives us the stories that define us. But I believe that it is not until we test our limits and push ourselves outside our comfort zone that we really explore life, thrive and come closer to achieve our full potential. The time has now come for me to really seize the adventure of life. Last year I read a quote that really got to me and that has become my personal mantra. This is exactly what I am about to do. Tomorrow will be my last day as an employed purchasing manager and I will take a big leap of faith and start my own company. I have taken a new exciting turn in my life in order to discover my true potential on a personal and business level. It is only the mind that sets the limits and I will follow my dream of building Northmans, a social enterprise with the goal to improve lives and hopefully inspire others to do the same. I am too restless to limit myself but up until now my mind set has been holding me back a bit. I guess I have always known that I wanted to create something on my own but I have denied myself the thrill of taking the step out of my comfort zone due to fear. However, during the past three years I have started to really listen to the voice within and truly act accordingly. I am so grateful for my family, friends, colleagues, mentors and all of you that motivate and influence me in becoming a better and stronger version of me. In beginning of June I will travel to Uganda for a worthwhile experience at the Primary school Ssenyange Education Centre. Today the school is entirely funded via Swedish donations from individuals, organizations and companies and the school assist with the education of young children in need and especially the orphans of victims of HIV/AIDS. The children are around 4-15 years old and for the majority of them the school is their only home. I will take part of the everyday life at Ssenyange and help out wherever is needed and I am really looking forward to also meeting with the girl that I am the sponsor of. I will write from Africa and share my experiences from the country side of Uganda the best way I can. Thank you for your time reading this. When it comes to writing a blog I definitely am a newbie but I have created this one in order to reflect, understand and share my stories. I really hope that you want to continue to follow me along my path of self-development and of building a social business that hopefully will contribute to a better tomorrow and make a social impact in the long run. Remember, only the mind sets the limits. Copyright © 2019 Mirja K..